Black Friday dealt a death blow to televised poker. Underwriting funds and ad revenue instantly vanished. A Heartland Poker Tour co-founder plans to revive it. High Stakes Poker, Poker after Dark, The Poker Stars Caribbean Poker Adventure, Full Tilt Sponsored Special Tournaments on Fox, and even the NBC National Heads Up Championship were all victims of Black Friday. The shows’ Producers not only lost their steady stream of ad revenue, many feared that even having the now illegal site logos on the screen would open them to legal liability. Todd Anderson, former Heartland Poker Tour co-founder and now president of Rush Street Productions, believes the time is right for televised poker’s comeback. Anderson and Rush Street announced their new venture Poker Night in America in a press release on Thursday. Anderson sites the changing legal landscape of online poker in America. Nevada and New Jersey have recently given the nod to online poker, and the PPA is optimistic that federal regulation could still pass within the year. We’re looking to bring a fresh approach to how poker is show on TV, making the show relevant to the average viewer. We think that the world is ready to watch poker in a whole new way. Poker Night in America (PNIA) promises to show more than the game itself. PNIA will not follow a strict game format with venues including celebrity filled Hollywood home games, high stakes cash games with world class pros and open events at casinos across America. Anderson also promises that PNIA will show and emphasize the fun, variety and entertainment aspects of poker. He promises interesting storytelling to accompany the high caliber of the game play. Turning Stone Casino will be the site of the first PNIA filming. PNIA has chosen the Casino’s Empire State Poker Classic Main Event as their first event. The main event is a $1650 buy in open No Limit Tournament with a $500,000 guaranteed prize pool. The tournament kicks off on August 9. 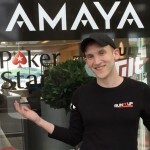 Anderson says that PNIA will film at least four additional events this year, although they have not yet been announced. 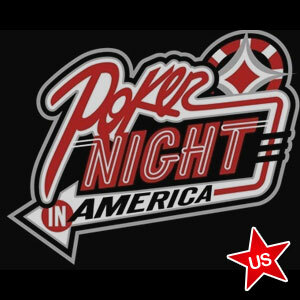 Poker Night in America plans to debut in early 2014. Players interested in following the show’s progress can do so at www.pokernight.com or follow the show on Twitter @pokernighttv.